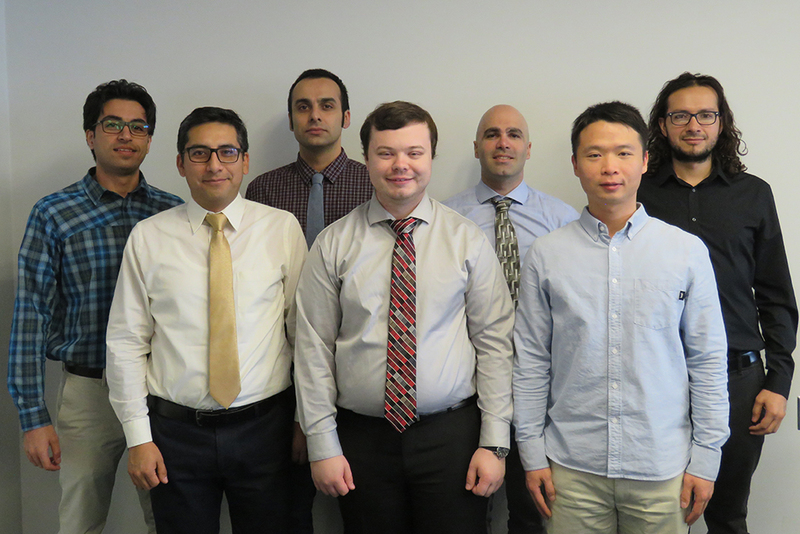 The doctoral students in the inaugural cohort of the Graduate Student Teaching Fellows Program (GSTFP) are (from left): Mostafa Soltaninejad, civil engineering; Frank Fabian, chemical engineering; Shahab Karimifard, civil engineering; Jack Rauch, chemical engineering; Vahraz Honary, electrical engineering; Shaobin Li, civil engineering; and Jairo Cervantes, electrical engineering. 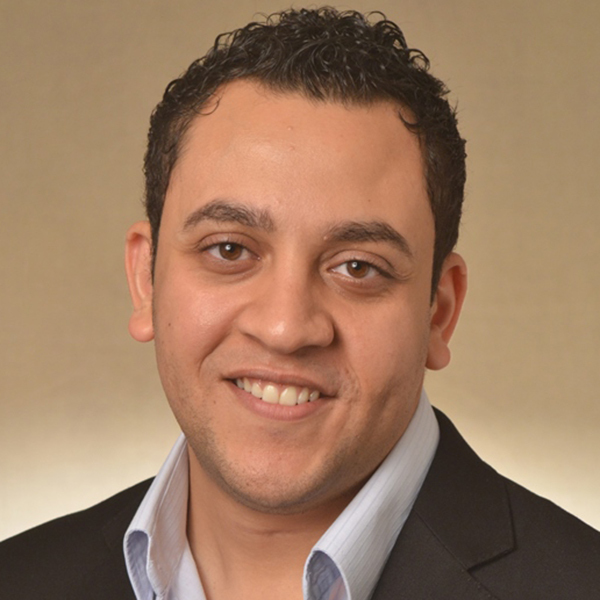 Tareq Daher, director of the Engineering and Computing Education Core. This semester, seven doctoral students from the College of Engineering are the first cohort participating in the Graduate Student Teaching Fellows Program (GSTFP), which aims to prepare students to become successful teachers when they become faculty at a university. In addition to the demands of the degree program, the students are taking a three-credit course that teaches the fundamentals of being a teacher – designing and planning a course, learning how to assess and observe teaching techniques, and developing a teaching philosophy. In collaboration with the University of Nebraska-Lincoln’s Office of Graduate Studies, the students earn a national CIRTL associate certification. Both the College of Engineering GSTFP and the CIRTL certification can be added to their individual curriculum vitae. As with other engineering graduate students, those in the current cohort also have responsibilities that include academics, research and teaching. Tareq Daher, director of the Engineering and Computing Education Core, said the College of Engineering recognized that it was providing students with support that enabled growth in the first two areas, but not the latter. This course, Daher said, is the first step in addressing that need. “The most important piece is all of these students want to be or are looking forward to the future in academic jobs,” Daher said. “When Lance Pérez came on board as interim dean, we began looking at what we can do to further support our students. One of the major components of the course is having the students develop courses they would like to teach. Through what Daher calls a “backward design process,” the students begin by deciding what are the outcomes they wish to achieve and then plan a path to meet those goals. “It’s as if they had graduated from here, went to a university and had to teach a course in their area of expertise,” Daher said. “They have to write learning goals, design assessments, and develop learning activities on what would happen in the classroom. The first cohort is comprised of seven doctoral students from three departments: Frank Fabian and Jack Rauch from chemical and biomolecular engineering; Shaobin Li, Shahab Karimifard and Mostafa Soltaninejad from civil engineering; and Jairo Cervantes and Vahraz Honary from electrical and computer engineering. For many of the students, Daher said, this is the first time they have had to dive deep into the teaching aspect of their journey to a career in academics, and the class has been a success. Applications for the Fall 2018 and Spring 2019 cohorts were due in August, and the college began selecting the cohort soon thereafter. Daher said the process of selecting the cohort for the Fall 2019 should begin in late spring and students chosen for the cohort would be announced in early August 2019.